On Monday, November 13, 2017, City staff presented a Development Update at the San Leandro City Council work session. This update provided an overview of the work of the Community Development Department and Economic Development Division, as well as the latest local economic figures and updates on the many new developments and businesses in San Leandro. City Manager, Chris Zapata, opened the discussion with an overview of economic development in the community, emphasizing that economic development is a team sport. The great amount of investment being made by private developers and businesses is supported by the vision and direction of the City Council, as well as the hard work of City staff across a number of departments. The Community Development department performs a wide range of work between its six divisions: Building & Safety, Code Enforcement, Economic Development, Housing Services, Innovation, and Planning Services. 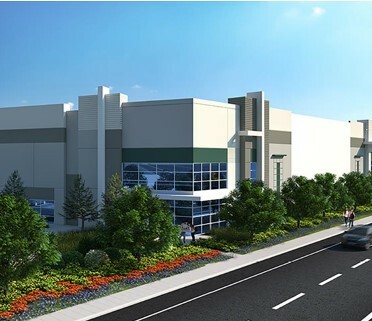 The Economic Development Division goal is to retain and expand existing businesses and attract new industry to enhance the local tax base and enable an increase in the standard of living for all San Leandro. Additionally, the Economic Development team strives to actively share the assets of San Leandro with the community, developers, and potential partners via its blog, San Leandro Next, social media, as well as events and speaking engagements. The local economy remains strong with a diverse sales tax base and a considerable amount of people coming to the community to shop. 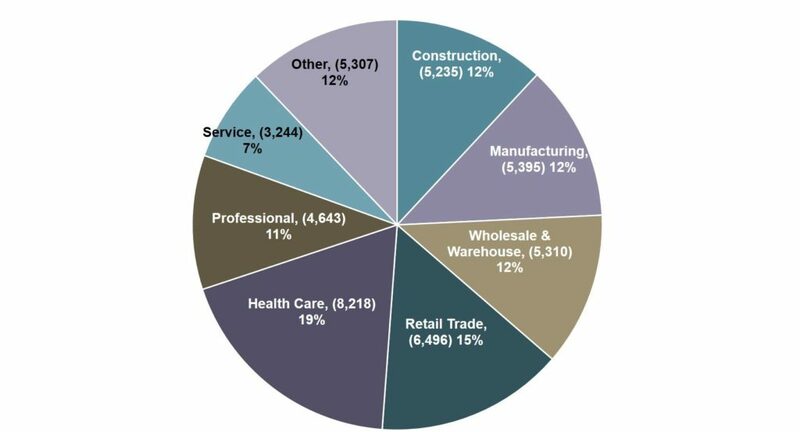 San Leandro has a wide-ranging job base with over 44,000 jobs across all industries. 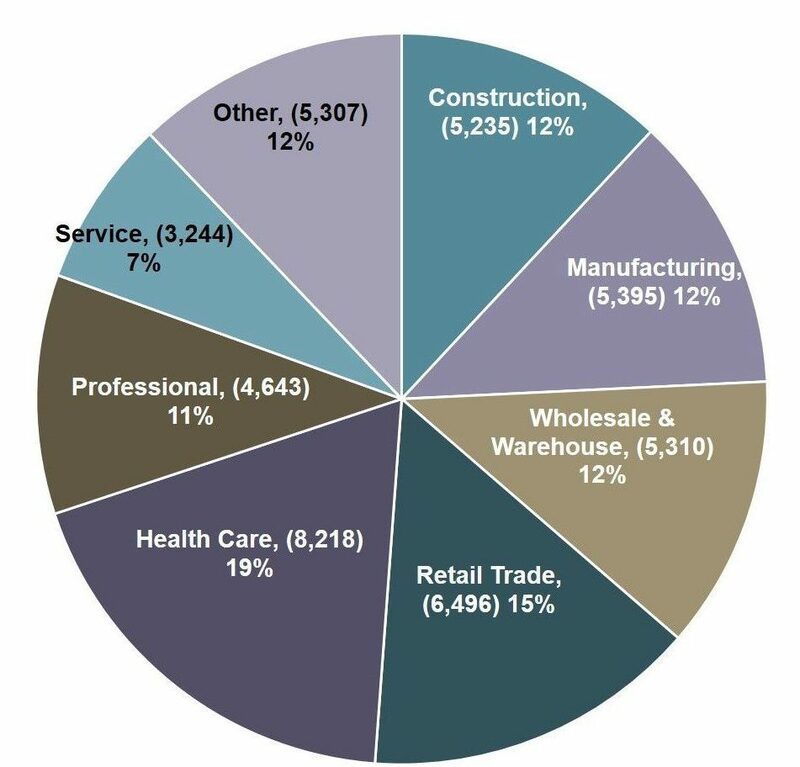 The City’s industrial sector remains a significant asset to the community, providing almost 16,000 jobs in the Construction, Manufacturing, and Wholesale Trade fields. The Health Care industry also continues to grow, with over 8,200 jobs across the city. As industries grow, the unemployment rate continues to decrease well below the California Average (4.9%) at 4.1%, a decrease of 7 percentage points since 2010. Sales activity in the City has increased to $3.04 billion from $2.7 billion in 2015 and the sales tax per capita is $294 dollars per resident, more than double the state average. This suggests that a substantial amount of sales activity is generated by residents of other communities that shop in San Leandro. These increased sales represent an increased demand for goods and services, and an increase in jobs to produce and sell such goods. Taxes from sales activities are used for local services, such as public safety, libraries and parks, as well as infrastructure and transportation improvements. Wells Fargo is selling approximately 5 acres of vacant land on Alvarado Street, north of Davis Street, which could be developed with up to 500 units of multi-family housing. Sansome Pacific Properties, who is under contract to buy the former CVS/Long’s Drug building and City-owned parking lot at East 14th St and Callan Ave, has recently reached an agreement to obtain the remaining properties on the block and will be proceeding with plans to develop over 150 multi-family housing units and ground floor residential, including a specialty grocer, at the site. Eden Housing is proposing 62 units of affordable housing at 1604 San Leandro Boulevard. Demolition and preparation is underway for the Marina Gateway Industrial Center (300,000 sf at 2000 Marina Blvd) and San Leandro Business Center (550,000 sf at 100 Halcyon Dr). Moussaka Mediterranean Kitchen, 599 Dutton Ave.
Shabu House, Japanese hot pot, 1376 East 14th St.
For more detailed information, click HERE to view the entire presentation and subscribe to San Leandro Next to stay up to date as these new projects proceed. Can’t wait for all the new restaurants to open! San Leandro definitely needs better restaurants. Seems like it’s going down the right path. Pleas bring trader joes, sprouts, or whole foods to San Leandro. Yes to new local owned restaurants. I live in Mulford Gardens and love the neighborhood. It is however, the area needs a supermarket. The traffic in the downtown area would be relieved if we had a regular supermarket in the core of this residential area. Definitely agree with everyone! A Trader Joe’s would be wonderful and more restaurants.